For nearly 20 years, the band Origin has set the standard for what quality American death metal should sound like. In 1998, the band emerged from the cornfields of Topeka, Kansas and has been stirring up the scene since. These guys started to gain recognition when they released their self-titled debut album in 2000. Praise could only be given for their uncommon heavy, technical style. Now the band just released their seventh studio album and though they claim it’s the beginning of a new era, their stunning signature sound is still very much present. 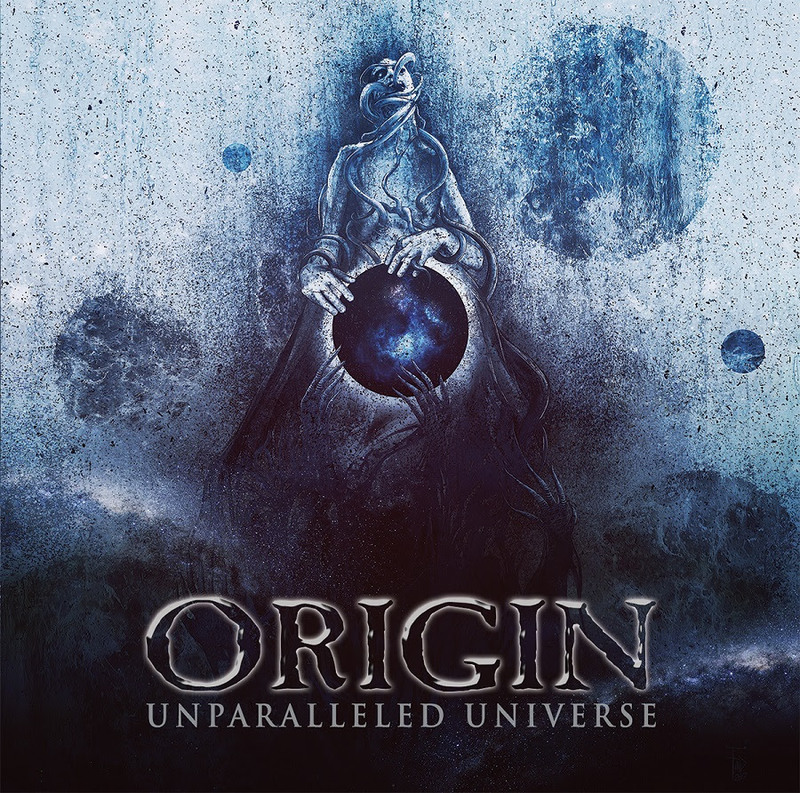 Through Nuclear Blast (North America) / Agonia Records (rest of the world), Origin’s ‘Unparalleled Universe’ is in stores now and should be purchased immediately. It’s a new, exciting chapter for them, plus their extreme death metal roots still shine and are taken to a whole new level. The album opens with the brilliant ‘Infinitesimal To The Infinite’. With fury and fire, the maniacal music of classic Origin is unleashed. Their union of blast beats and gutturals blare with confidence and intensity. The variety and range of Jason Keyser’s screams thrill and inspire. Original member Paul Ryan’s guitar grinds and penetrates the senses with his ceaseless ability to make you want to rage. His shredding and sweep picking skills stun and engage you. 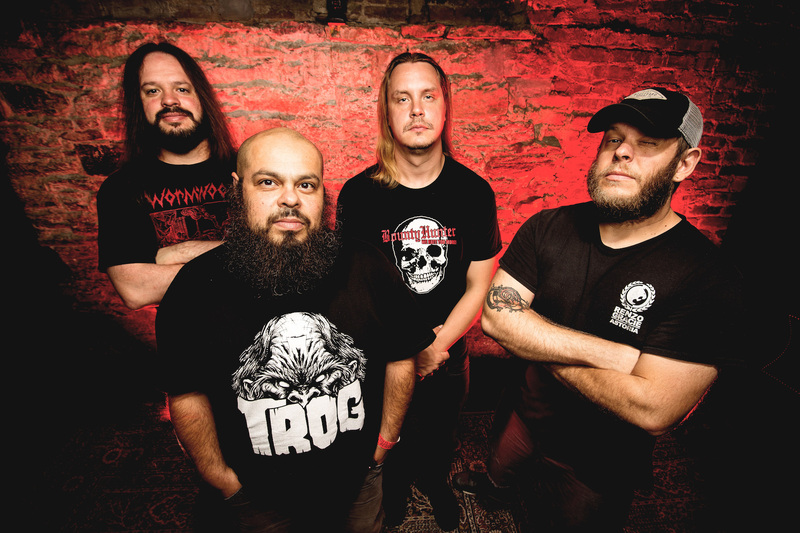 The production of the album shows off each instrument and everything is distinct, yet clearly collaborating to make their brutal, brutal sound. On numbers like ‘Cascading Failures, Diminishing Returns’ and ‘Truthslayer’, the incessant speed invokes such a fun, primal power that prickle the senses. The mastery of John Longstreth at the drum kit cuts through everything as you can’t help but focus on his fast and ferocious playing. The man’s intricate and precise drumming has you on your toes, ready to jump into the pit. Each member’s expertise parades throughout each song, even bass player Mike Flores is a mainstay with his groove and clout. ‘Burden of Prescience’ marks the album with hate and hostility. The sharp, strong sound is the score to their dark, angry lyrics. Death and despair fills each track with a rich malice that mesmerizes the listener. ‘Unequivocal’ is the longest song on this 10-track album, and is truly epic and savage. The deliberate, punchy movements of the number are vehemently delivered as each aggressive member gives 100 percent. These guys are grind and groove with blast beats galore. The technicality and seamless precision of each instrument is felt. The heart races as the band’s severe sound continues to impress and impact. Origin is a band that makes you want to be 15 again. Their extreme deliverance of sound breaks you down to feeling raw and relieved. This explosive act knows how to help you release your rage and frustration. ‘Unparalleled Universe’ is an album that is way more helpful than screaming into a pillow.